SCANIA OPTIMISE has delivered Transport Canberra (TC) a 16 per cent fuel efficiency bonus as the result of an initial 20-strong, six-month driver monitoring and coaching programme, the company states. 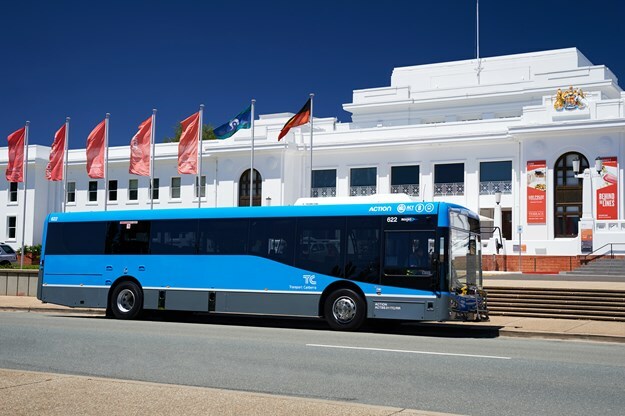 Transport Canberra has pledged to expand the Scania Optimise bus programme in 2019, it's stated. The programme’s success has led to a TC pledge to expand the programme in 2019 with 40 drivers from two depots taking part from next March. 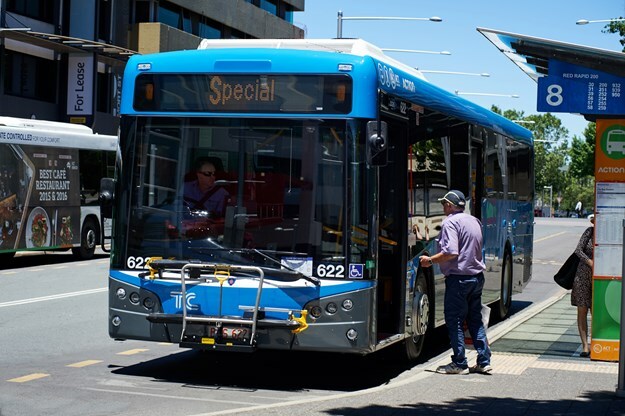 The wider adoption by the transport authority centres around calculations that show on an annualised basis the improved fleet efficiency adds up to a potential saving of around AUD$150,000 in fuel costs across the 20 chassis, it claims. 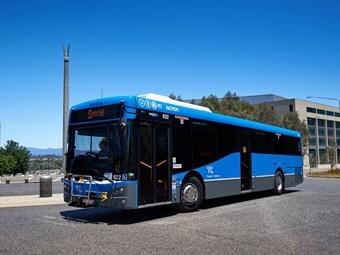 Transport Canberra ran a programme with 20 drivers drawn from its Belconnen and Tuggeranong depots, operating route buses in the nation’s capital, and utilising all aspects of Scania’s Optimise. The fuel savings derived from the programme exceeded expectations, says Scania. Typically, the Swedish commercial vehicle manufacturer expects to see a saving of around 10 per in fuel use, combined with less wear and tear and greater passenger acceptance as a result of smoother driving techniques employed in order to achieve the fuel savings, it explains. According to Scania Australia bus driver trainer Peter Verbrugge, who delivered the programme, the results bear testimony to the commitment by the Transport Canberra drivers to follow the programme, and the benefits have been well appreciated within the ACT’s transport management team. "The fuel efficiency gain is impressive given the drivers were not on the same route day after day, and they were travelling at all hours, often in congested traffic," he said. "The drivers weren’t confined to Scania-based buses, so when they drove non-Scania sourced vehicles, they took their fuel saving tips with them and made them work on the other vehicles too - although as they were not fitted with the Scania Communicator that data was not recorded," he explained. "The programme starts with four hours of classroom instruction and a confirmation drive by me and then the drivers. After a week getting used to the Scania Optimise driving style, we conduct in-route training to see how the techniques are being observed, and then after that there is a monthly coaching call once the driver has seen his or her results for the period. "The benefit of the on-going coaching was noted as well. 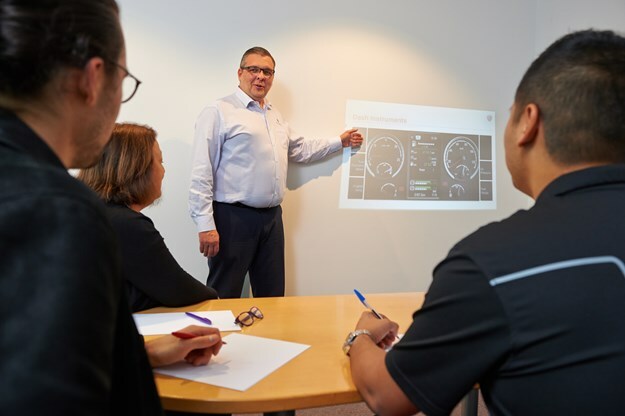 Drivers who regularly took the call and discussed their results performed better month-on-month, and they remained motivated to continue to improve, using the in-dash Scania Driver Support System to keep an eye on their performance while striving to do better," Verbrugge said. "One of the biggest gains was achieved by focussing on gaining free kilometres, or coasting, when fuel is not being used, and modulating speed on approach to intersections to avoid coming to a halt if the lights are about to change. "All these fuel tips really add up across a month of driving and across the driver group. "The analytics highlight extremes of performance, so we can see if a driver has returned to poor habits of, for example, harsh acceleration and braking or unnecessary and extended idling, which burn fuel," he said. Driver Michael Pearlman said: "After completing the Optimise programme I have been surprised with how much difference can be made with so little effort and change to driving habits. Routinely, I would get into a vehicle sitting at 32-35-litres per 100 km. Once reset and driven as per the programme, the same vehicle would be showing 24-27-litres/100km by the end of my shift. I now find my driving has changed regardless of the vehicle I am driving, which not only benefits the business through cost savings, [but] it gives a smoother trip to our passengers." Driver Diana Cupitt said: "I think the programme was a great learning (experience) for me about driving, how to improve my skills and ability. I am proud of what I learned." Driver Michael Rijsenbrij said: "Optimise is an excellent course. It gave me the skills to enhance my customer service, reduce all aspects of Transport Canberra’s fleet running costs and make me a better overall driver. I recommend this course to anybody wishing to further their skill base." 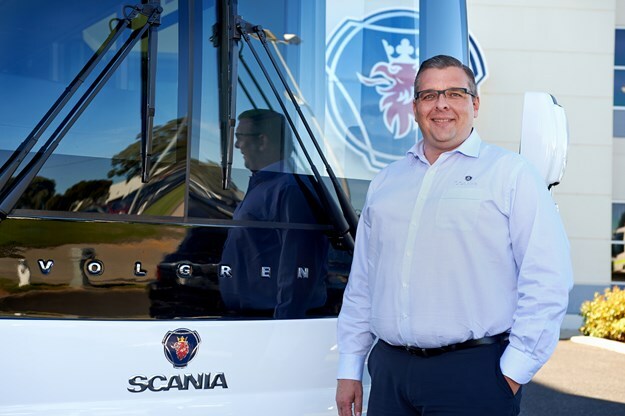 According to Richard Bain, manager of Driver Services at Scania Australia, the results of the Transport Canberra programme are indicative of what all operators using Optimise can hope to achieve. "We have several years of experience running Scania Optimise both in Australia and overseas. The data shows us that drivers who have the right attitude and who continue to practice what they have been shown can, over the long term, deliver consistently improved fuel performance. "And while the reduction in running costs is appreciated by the operator, drivers who do well with Optimise give their passengers a smoother ride, leading to better customer experience and thus increased patronage. "Transport Canberra was the first Scania fleet to switch to Euro 6 emissions in 2014, underlining their bid to reduce air pollution. Scania Optimise is the logical next step for reducing emissions from buses, by reducing fuel burn," he said. * Savings per year across 20 chassis at a cost per litre of $1.30: $153,900.